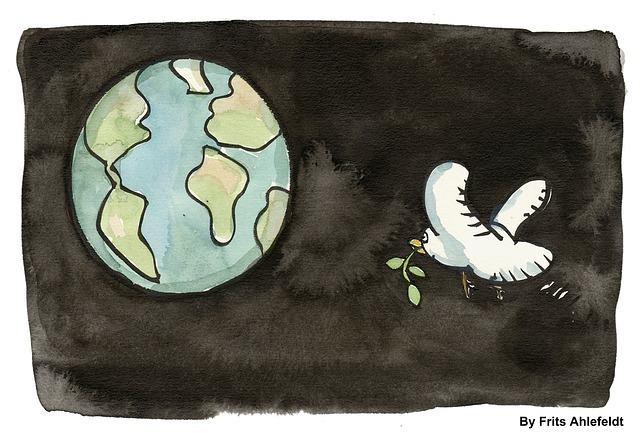 Inner peace may hold some of the solutions to a better world. When we see disturbing images in the media of the suffering of innocents in war zones. What can we do? We can choose not to view such things, to put our attention elsewhere, but is that denial? Watching the news can be a truly unhappy experience. Often when we see something dreadful we can’t bear it, so we choose not to look. Sadly, I don’t have the solution to world peace! But there are things we can all do to help bring about a more peaceful world. Metaphysics and other spiritual disciplines tell us that what ever we seek outside of ourselves, will elude us until it can be found on the inside. If we are a microcosm of the macrocosm – if we are a part of the whole – perhaps we can affect a change by finding peace within ourselves first. Are you ready to find inner peace ? Repetition is the master of all skill. Sit upright, allow your gaze to soften so that rather than staring you are allowing the light around you to soak into your eyes. Bring your awareness to your nostrils and use your nose to breathe throughout. Begin to follow an inhalation – name it 1, hold the breath and call it 2, exhale and call it 3, pause and call it 4. That is one breath. Aim to be uninterrupted by random thoughts. Your focus is on the breath, so temporarily forget what’s going on around you. Enjoy the feeling of the breath in your body, the stillness that is temporarily created, even though there may be noise and activity outside and around you (on a train for instance). Once you have perfected the technique aim to increase the quiet spaces to at least SEVEN times a day. Peace be with you and around you! Enjoy. PS. I’d love to know how you got on with this! Drop me an email at Sue@thestresshacker.com and tell me 1. if you tried the meditation technique, 2. How many times a day you do it, and 3. how you’re feeling after trying it for a few days. Or just leave me a comment! Previous post: Are YOU the person stopping you from being who you really are?